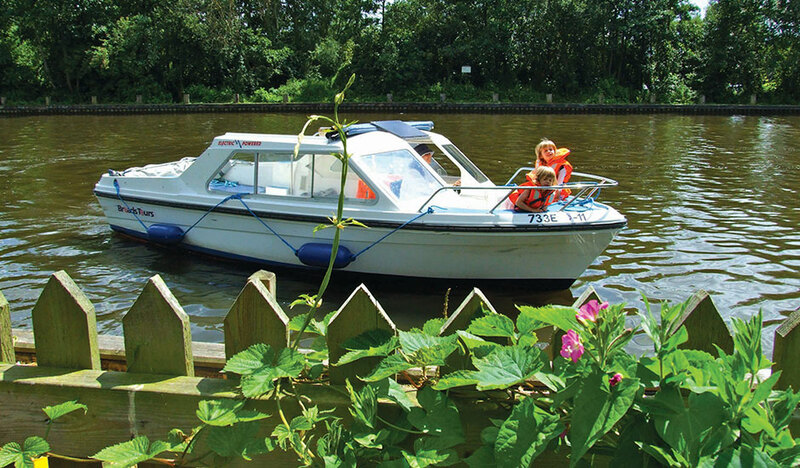 Our electric day boats are a popular choice, they are Eco Friendly and seat up to eleven people so you can pack a picnic, bring all of your friends and family and discover the wonder of the Broads together. They are quiet and easy to operate, with a canvas cabriolet style cover to protect you from the elements or allow you to enjoy sunny days from the comfort of this spacious cruiser. 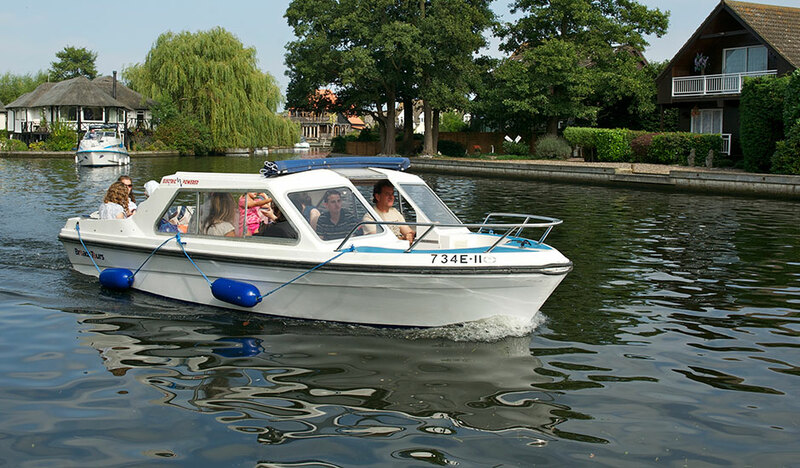 Broads Tours require at least two adults on our Large Electric Day Boats (at our discretion we may allow one adult with a child of 14 years or over). Pre-booking is required, by telephone only.